With a stay at Hana & Jo in Kutchan, you'll be within a 15-minute drive of Niseko Mountain Resort Grand Hirafu and Lake Hangetsu Nature Park. Featured amenities include luggage storage and laundry facilities. Guests may use a roundtrip airport shuttle for a surcharge, and free self parking is available onsite. With a stay at Turtle Inn Nikko in Nikko, you'll be just steps from Mt. Hangetsuyama and Ryuzu Waterfall. Featured amenities include luggage storage and laundry facilities. A stay at Hotel Redent Ito places you in the heart of Ito, steps from Inatori Onsen and Izu Cactus Park. Self parking (subject to charges) is available onsite. With a stay at Hotel Times - Adults Only, you'll be centrally located in Tokyo, within a 15-minute drive of St. Mary's Cathedral and J-World Tokyo. Located in Atami, Sakuragaokasaryo is within a 15-minute walk of Kiunkaku Former Ryokan and Atami Castle. The front desk is staffed during limited hours. Free self parking is available onsite. When you a stay at guest house MARUYA in Atami, you'll be near the beach, within a 5-minute walk of Atami Sun Beach and Yuzen Shrine. Featured amenities include luggage storage and laundry facilities. 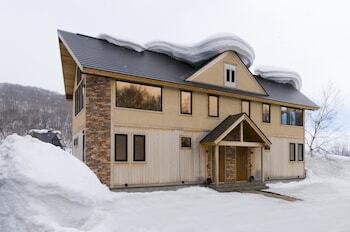 Located in Nakafurano, Petit Hotel Blanc Fleur is a 5-minute drive from Farm Tomita and 6 minutes from Lavender East. Free self parking is available onsite. With a stay at this vacation home in Kyoto (Central Kyoto), you'll be a 3-minute drive from Nijo Castle and 10 minutes from Kyoto Imperial Palace. The front desk is staffed during limited hours. With a stay at this vacation home in Kyoto, you'll be within a 10-minute drive of Kyoto Tower and Higashi Honganji Temple. Featured amenities include a 24-hour front desk and laundry facilities.